Enigma Fishing has announced the addition of MLF Bass Pro Tour angler John Murray to its pro staff. Murray has been a fixture on the tournament scene since he began his career on the West Coast in the 1980s. He's a two-time U.S. Open champion and a three-time B.A.S.S. winner, including an Elite Series victory at Toledo Bend in 2017. Murray said that joining the team was an easy choice, because of a long history with the founder, and finally the equipment. 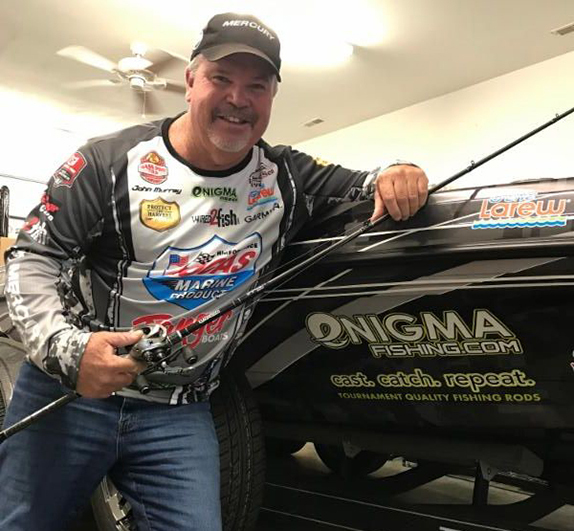 Tacoronte, the founder of Enigma Fishing, and a professional angler on the Bassmaster Elite Series himself, said that adding Murray to the team was something he relished. �I�ve fished against, and looked up to John for many years," Tacoronte said. "He is the best kind of person, and represents our whole sport in a way that anyone would be proud to have on their team. He brings additional veteran credibility to the Enigma brand, and will help us promote the company to a whole new group of anglers."